Cancer is a big deal, and the potential environmental factors make mapping incidence very appealing. This has made maps a handy device for newspapers and other “lay” interpretations, which typically don’t employee rigorous statistical tests for significance. Victor Perez, a researcher at UD wants to investigate the ways cancer incidence is discussed in these lay publications. 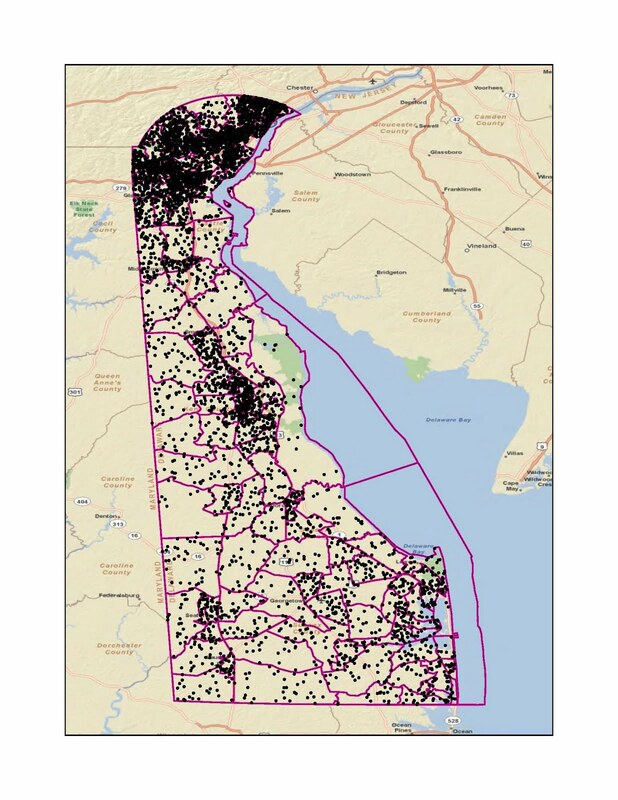 As a discursive preliminary step in this study, Dr. Perez asked me to help him prepare a map that would show what a random incidence of cancer cases might look like. 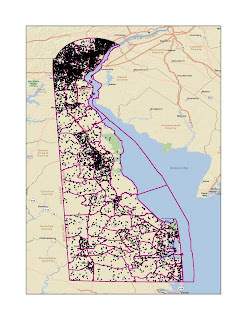 To do this I used the “generate random points” tool using data on census tracts (Total Population from Census 2000) and given average Delaware cancer incidence.